Two stars for quality, and five stars for being such an interesting by-product of pop music culture. Fred Dellar, who wrote "Where Did You Go To, My Lovely?" is a legendary British music journalist who worked for New Music Express (NME), as well as Melody Maker, if not mistaken. He now works for Mojo Magazine, doing the "Ask Fred" column. Published in 1983, Dellar managed to locate most of the British Invasion bands and artists to find out what they were doing now (in 1983). Which mostly were retired, or still struggling with the music business. Some of the artists in Dellar's 'whatever happened to?" are now very much respected and well-known (still). The Zombies, Scott Walker, The Troggs, The Pretty Things, and the late Dusty Springfield. On the other hand who remembers The Temperance Seven or Eden Kane & Peter Sarstedt? 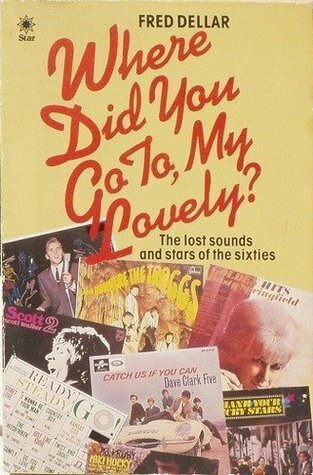 My huge discovery in this outdated and out-of-print book is that Morgan Fisher of Mott the Hoople, and eventually moved to Tokyo to do music (and maybe still there) used to be in the band Love Affair. Or that bassist John Gustafson (played with Roxy Music for one album) was in The Merseybeats. Those two facts for some odd reason, I find totally fascinating. So that knowledge is five stars alone, but as a book, it's only for the obsessive people like me.